Currently, the source of my greatest pleasure is watching Tom wear his new jeans. I hope I can portray this accurately for you. One day, there was a guy named Odysseus, I mean Tom. He was pretty darn tall, but he had one character flaw. He couldn't find jeans that fit. Every time he would go out to buy new jeans it was an event and he always ended up having to special order them. 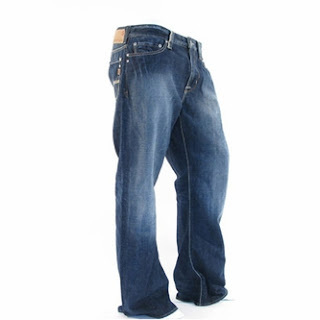 Men's jeans (at big and tall stores, the only ones where he could buy clothes) had two options: option #1: round and short, option #2: tall and lanky. Neither of these accurately described Tom. He was more of a tall and normal size leg man. Apparently, if you are 6'8" you are not supposed to have normal sized legs. Since this was the case, Tom always bought jeans that were on the baggier side, since it was either that or the skinny jean look,which he was not a fan of. And honestly, that look just didn't suit him. 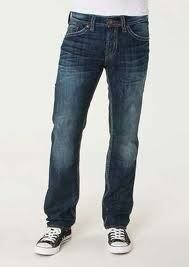 Well today Tom tried on his newest pair of jeans that were special ordered and it was quite the sight. These were his first pair of "these fit me well" jeans, ordered because I selected 800 pairs of jeans in the store for him to try on until we found ones that would actually fit and not be skinny or baggy. The only problem is they don't fit like the ones in the store. They're a little too short and he thinks they're too tight, and he walks like they're too tight. Needless to say, it was yet another fail in the epic journey to find Tom jeans that fit. But it made my night and I have faith that one day we'll make it to Ithaca, we just have to keep battling the Cyclops, the Sirens and Scylla along the way. I thought ladies were the only ones that had trouble buying jeans! Good Luck Tom! I'm sure you will eventually find jeans that fit.